Please pray for 24-year old Houston Police Department Officer Nestor Garcia who was struck and seriously injured by an SUV last night on US 59 southbound at Dunlavy. 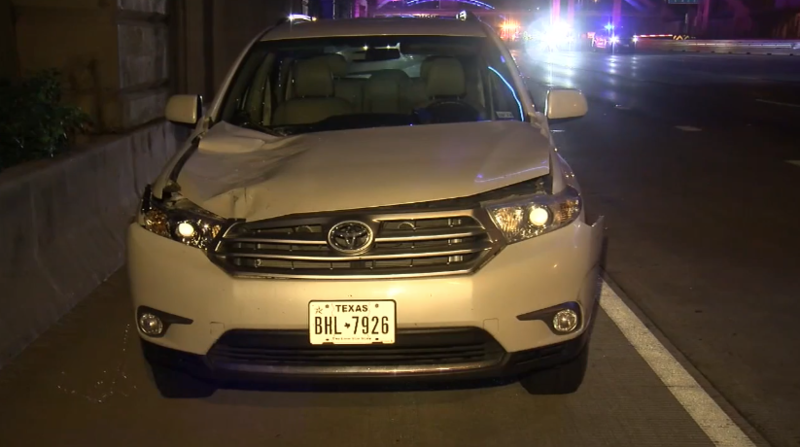 Officer Garcia, a rookie with less than 1-year on-the-job with HPD, was participating in a felony stop of a suspected stolen vehicle, when a white Toyota Highlander driven by a 79-year old male plowed through the scene at about 60 MPH. Officer Garcia sustained a head injury, abdominal injuries and some fractures and was listed in critical condition. The 79-year old driver was arrested and is expected to be charged with intoxication assault of a peace officer. Officer Garcia is not married; media reports say his family were with him at the hospital. Update: the 79-year old driver has been publicly identified as Robert Zimmerman. Channel 13 interviewed Zimmerman’s neighbors and business associates, who report he used to work in real estate investing and is semi-retired. Zimmerman does not have a criminal record.